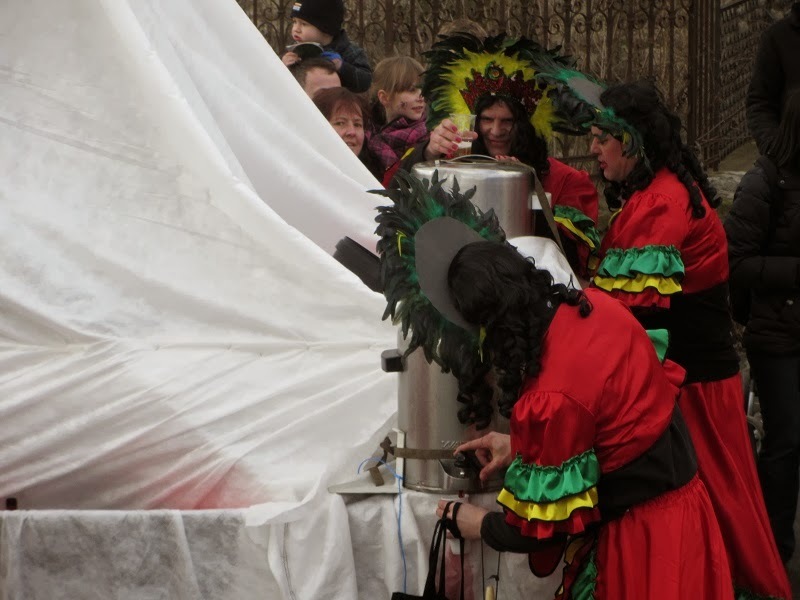 Laura Rueckert: Happy Carnival and Helau! You might connect Carnival with Brazil or Venice, or of course, Mardi Gras in New Orleans. But a lot of countries celebrate it, and Germany is one of them. 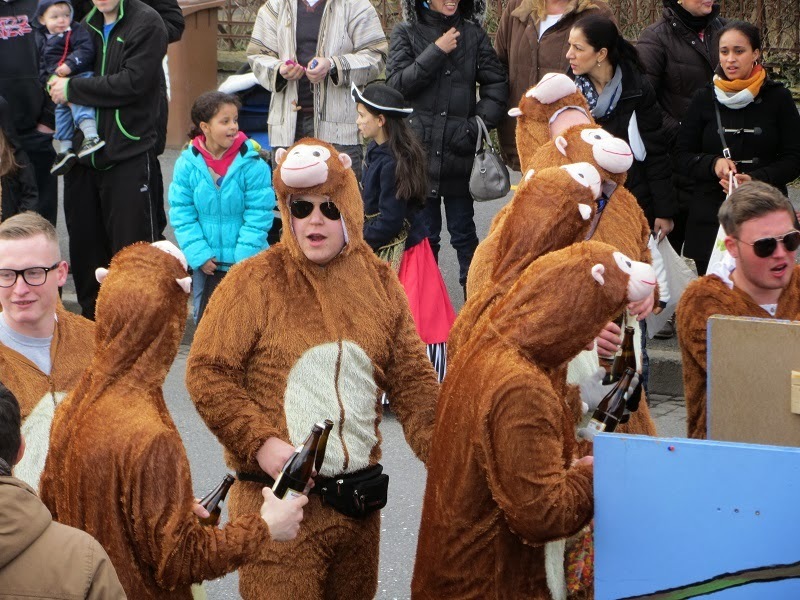 In the region where I live, Carnival is called Fasching. The traditional food is Krapfen – a type of donut filled with rosehip purree (it's yummy). The traditional greeting is helau! 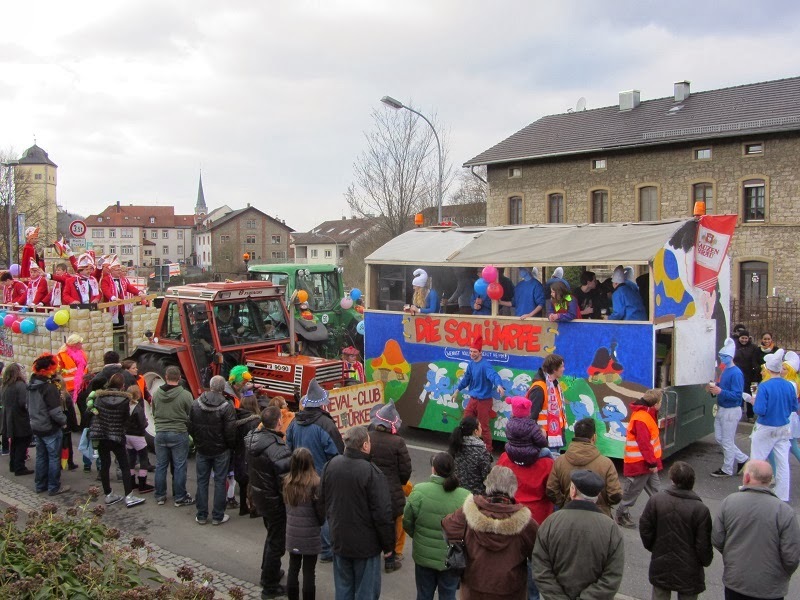 On Sunday, my family and I watched the Carnival parade in Ochsenfurt. 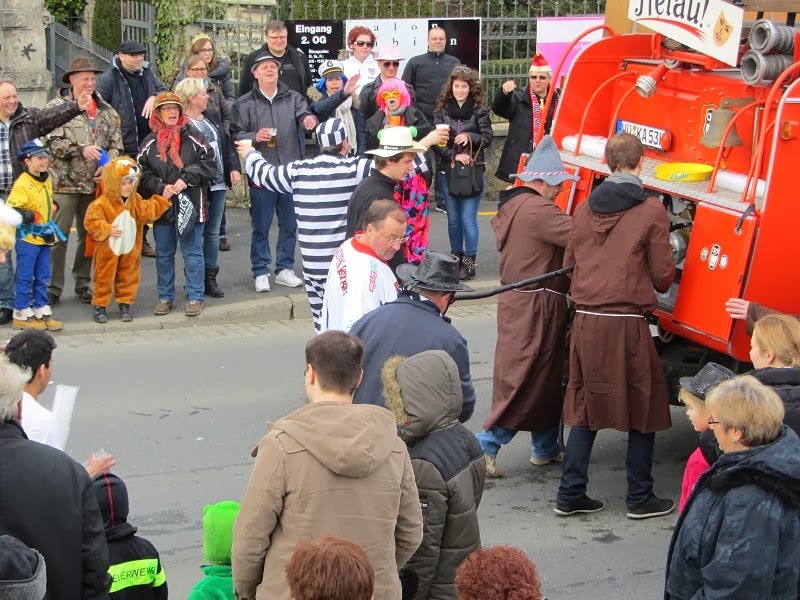 Maybe these pictures will help show why Carnival is also called die närrische Zeit: the fool's time. 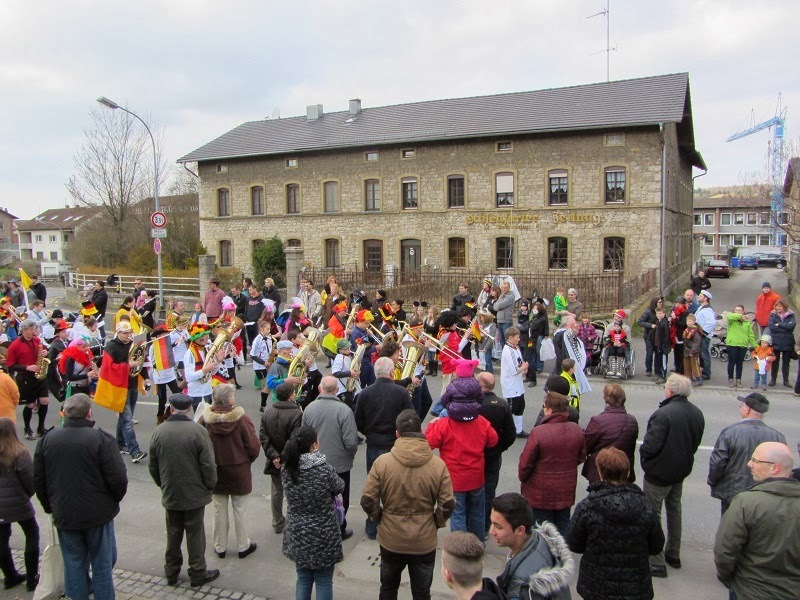 In Germany, Carnival parades have bands. Yes, you pour the beer out of the fire truck's water tank through that black hose. And the parade goes down the street and back – simultaneously. So there are bands and floats playing different songs, passing each other. 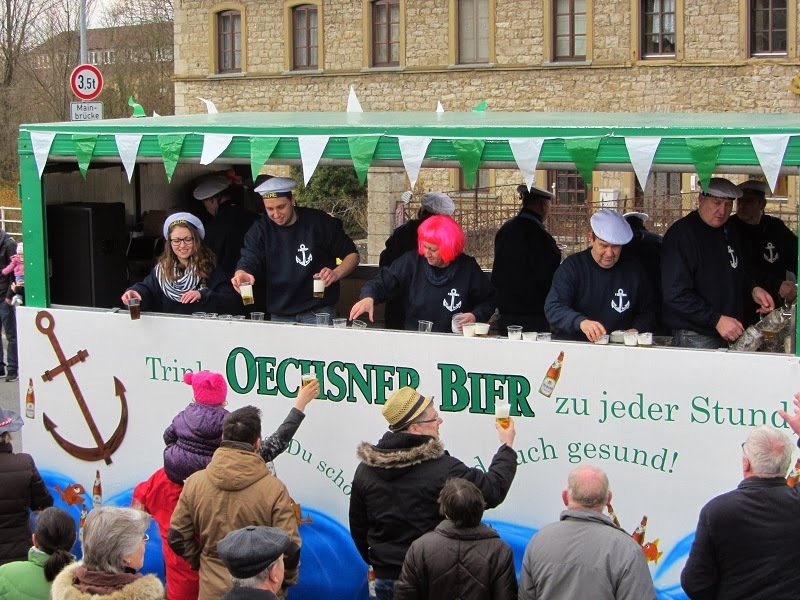 And in case you missed it, free beer! 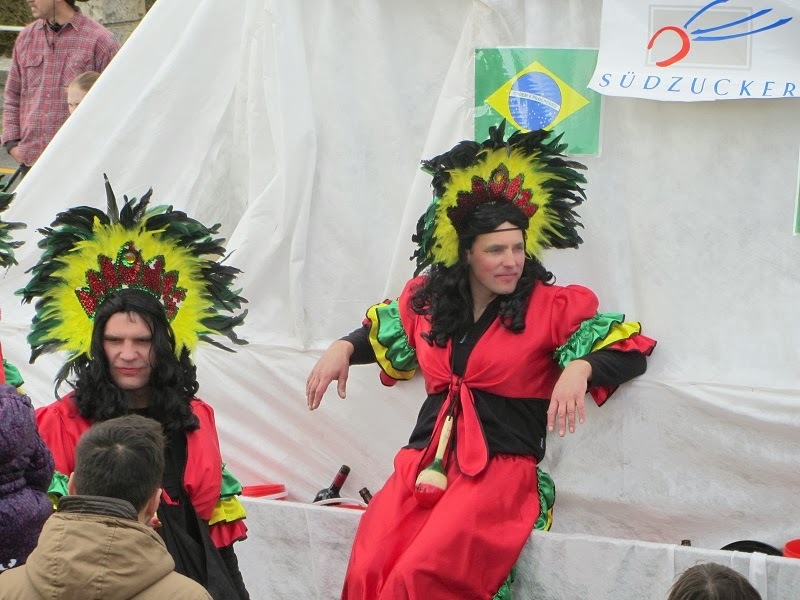 Happy Carnival, everyone, and helau!